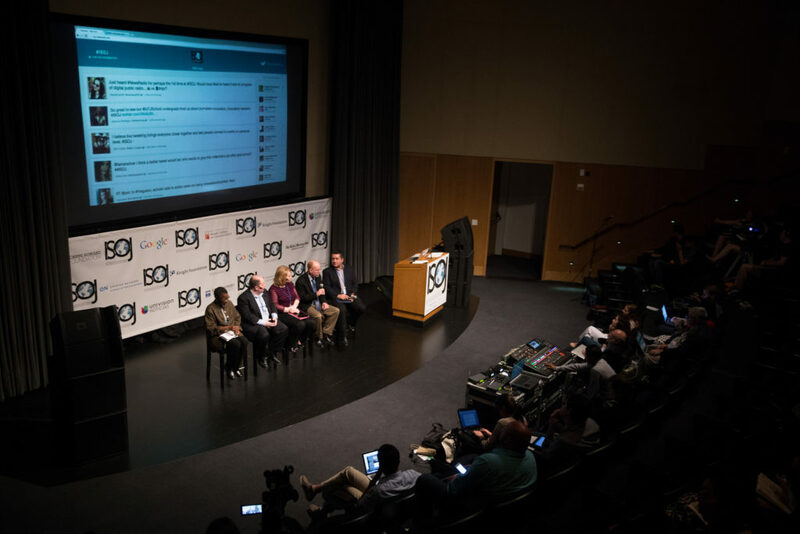 Dozens of conference goers live-tweeted the presentations at the International Symposium on Online Journalism (ISOJ) over the weekend, and a stream of tweets including the #ISOJ hashtag served as the backdrop for most of the conference’s question-and-answer segments. It was also fitting that the research panel was chaired by Alfred Hermida, an associate professor at the University of British Columbia’s Graduate School of Journalism, and the author of Tell Everyone: Why We Share and Why It Matters, which won the Canadian 2015 National Business Book Award on Thursday, April 16. Researchers from four American universities studied how people use Twitter in situations ranging from the 2012 Summer Olympics in London to the protests in Ferguson, Missouri. Frank Russell, from the University of Missouri, looked at how journalists used Twitter during the government shutdown and found that the traditional gatekeeping element of journalism is carried out on Twitter as well. Amber Hinsley, from Saint Louis University, found the same to be true for journalists covering the protests in Ferguson following the shooting death of Michael Brown, un unarmed black teenager, by a police officer. Hinsley conducted a content analysis of local activists and journalists during the protests. Both groups were more likely to craft original tweets than to post retweets, she found. Hinsley believes this was because they recognized that people were looking for new information. “Certain hashtags became dominant and helped set the agenda for how people were talking about Ferguson on Twitter,” Hinsley said. Kyle Heim, from Seton Hall University, compared news coverage and tweets about a presidential primary debate in 2011, and found that Twitter can provide a critique of an event, but can’t always replace it entirely. “Twitter may help move us to the next stage of political coverage,” Heim said. He suggested journalists and politicians pay attention to the social media site to gauge public perception of events. Lastly, Kathleen McElroy, from Oklahoma State University, discussed her research surrounding the controversy of Olympic gold medalist Gabby Douglas’ hair and Black Twitter. Her paper, “Gold medals, Black Twitter, and not-so-good hair: Framing the Gabby Douglas controversy” was named the top research article of ISOJ. One person’s critical tweet over the Olympian’s hair ended up in nine different articles. The result was a discussion on Twitter about race and class. The 16th annual ISOJ was held April 17-18 at the Blanton Museum of Art, on the campus of the University of Texas at Austin. 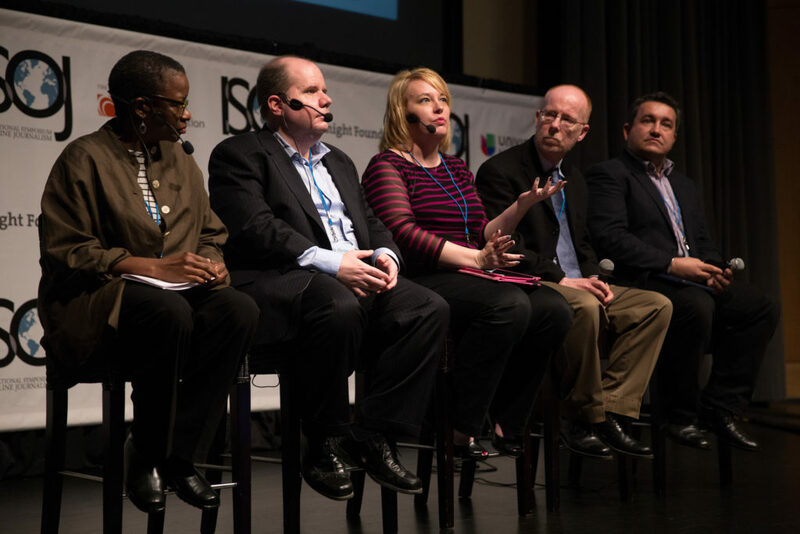 ISOJ 2015: All About the Twitter Q&A, from Knight Center on Vimeo.